Apple is one of the world’s leading multinational company that has been producing some of the most dazzling technical devices we see around us every day. Be its series of personal computers, iPod, iPhone or iPad, name a technical device, you would easily find apple offering one of its kind of innovative product in that category. In this century where the internet has almost taken over all means of communication, wireless technology like internet routers is a must for every household or office setup. Apple has continuously taken an extreme interest in providing innovative wireless applications and ideas thereby taking the internet connectivity to the next level. It is also well known for providing smooth reliable connections at long ranges that makes it stand out from the rest of its counterparts. Apple offers Wi-Fi routers that are reliable, high performing, having an excellent integrating security system. The wireless routers manufactured by Apple have received the highest overall rating score of 8.9 making it one of the most sought-after wireless routers in the market. The main theme of this article is to highlight the excellent performing Wi-Fi routers that Apple is offering and how they can change the way you connect. AirPort was the name given to a series of products by Apple incorporating the Wi-Fi protocols (802.11b, 802.11g, 802.11n, and 802.11ac). These products comprise a number of wireless routers and wireless cards. The original AirPort Base Station well known as GRAPHITE, features a dial-up modem, an ethernet port, a Lucent WaveLAN Silver PC card as radio and an embedded AMD Elan processor. It was the first generation of routers offered by apple series that went through multiple modification and updates. The second-generation model known as DUAL ETHERNET or SNOW features a second Ethernet port when compared to the Graphite design, allowing for a shared Internet connection with both wired and wireless clients. It has the ability to connect to and share American Online dial-up service -a feature unique to Apple base stations. This model contained a fully functional original AirPort Card, which can be removed and used in any compatible Macintosh computer. M8930LL/A – 2 ethernet ports, 1 USB port, external antenna connector. 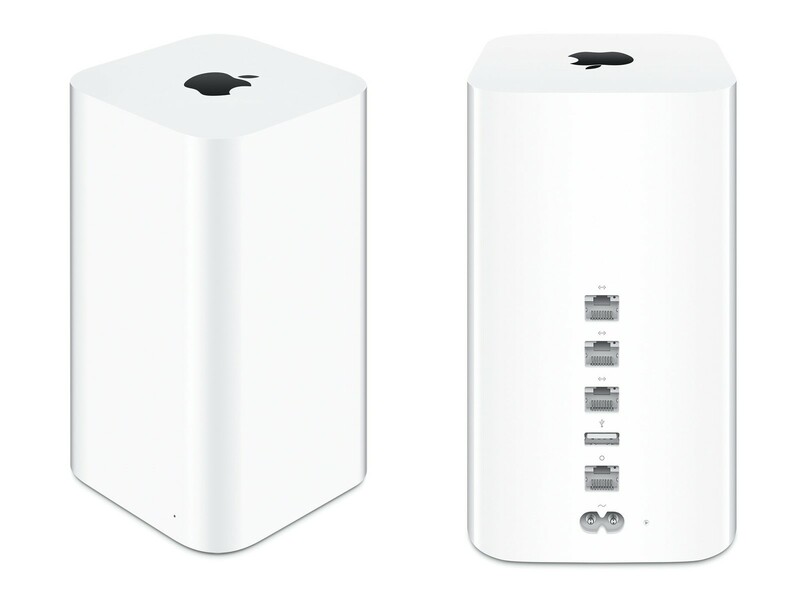 The AirPort Extreme Base Station is a fifth-generation AirPort design that can connect up to 50 wireless users simultaneously making it a perfect wireless solution for home or small business. In addition, it has three ethernet ports for the wired system and one USB port for external drive or printer. All the connected users can easily exchange files or a single printer at once. Another amazing feature is its compatibility for both bands; 2.4mb and 5.8mb. The AirPort Wireless Router is also integrated with multiple input-output technologies that transmit multiple data streams resulting in increased data transfer speed up to five times. This also reduces the chances of getting interfered by the equipment’s which make use of 2.4GHz band such as cordless phone etc. Apart from all these attractive functions, it provides easy setup procedure. It links you to the network within minutes via wizard mode. Making it extremely feasible for you to install it at your workplace or home offices. Last but not the least AirPort Extreme has an eye-catching sleek design which is not only aesthetic in looks but you can also proudly display it on your desk. 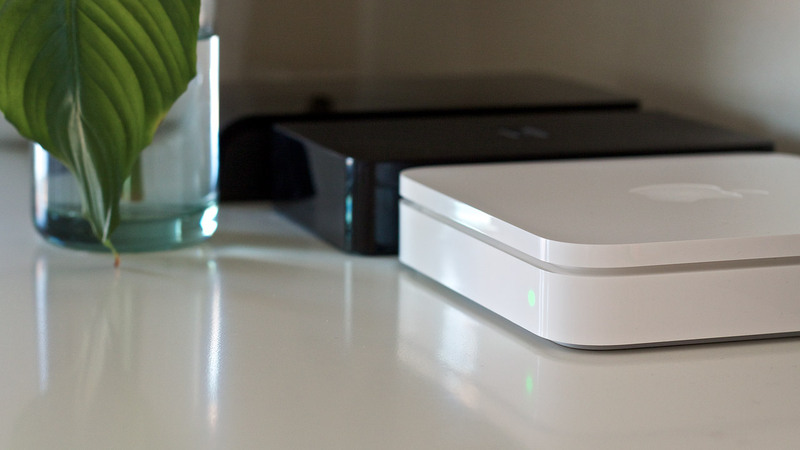 The AirPort Express is another simplified and compact AirPort Extreme base station that allows up to 50 networked users with an additional attractive feature called AirTunes. It includes an analog–optical audio mini-jack output, a USB port for remote printing or charging the iPod (iPod Shuffle only), and a single Ethernet port. It functions as a wireless access point when connected to the Ethernet network. It can also be used as an Ethernet-to-wireless bridge under certain wireless configurations extending the range of a network, or as a printer and audio server. The new product also features two 10/100 Mbit/s Ethernet LAN ports. The Airport Express Base Station can actually deliver 5 times the usual network performance and covers up to twice the distance, making it a truly top of the range piece of equipment. Having an AirPort extreme installed at your place can give you that glitch-free networking experience you were always looking for. 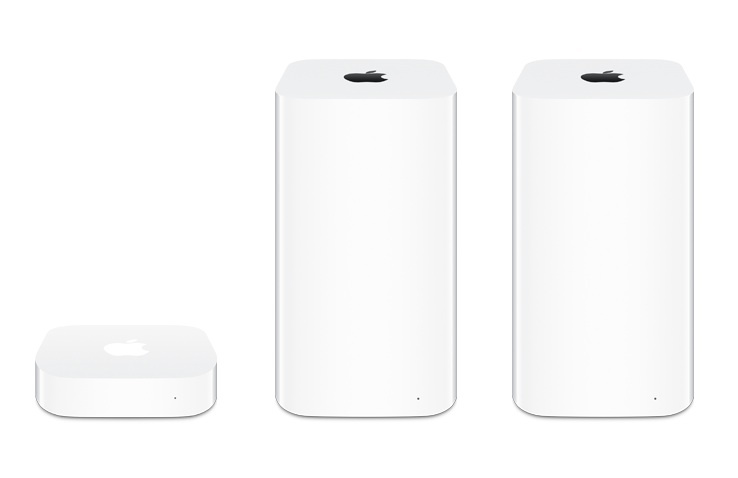 AirPort Time Capsule is another excellent performing wireless router sold by Apple Inc. that features network attached storage (NAS) and a residential gateway router. It is essentially a version of AirPort Extreme with an internal hard drive. It was specifically designed to work in tandem with Time Machine backup software utility introduced in Mac OS X 10.5. After its release, the device has been upgraded multiple times. The latest model features 802.11ac and a 3TB hard drive. All models include 3-gigabit ethernet ports and a single USB port that can be used by external peripheral devices to share network, eternal hardware or printers. The NAS function utilizes a built-in server-grade hard drive. Previous Post:What is a drip campaign and how to use it?